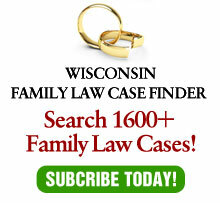 The Wisconsin Supreme Court has had its issues in the last few years. After all, it is not (fortunately) common for the police to have to investigate possible criminal charges against one justice for assaulting another. So, of course, the legislature thinks they have to get involved to fix things, which brings up the old maxim to make sure the cure is not worse than the disease. The “cure,” apparently, is to require an election for chief justice every two years. According to an article in the Wisconsin Law Journal, the Senate passed this requirement as a constitutional amendment. It has a long way to go before it becomes law, as it would have to approved by two sessions of both houses of the legislature, then by the voters in a referendum. Is this a good idea? While I generally believe in term limits for elected officials, it seems to me that the SC may not be the best place for such a democratic exercise. While I politically differ from Chief Justice Abrahamson, especially on criminal cases, about 180 degrees, I have such high regard for her intellect, values and service she has lent to the court that I have supported her each time she has run for re-election. I prefer a judge who may have different political leanings than me, but is smart and compassionate, than the other way around. It is difficult for me to see how forcing her (or any other justice) to seek approval from their fellow justices every two years is going to solve any problems. Instead, it seems to me that it would likely increase politicking among the justices, thus increasing strife. Choosing a chief justice by seniority, as is the current system, may not be the best means. But until someone suggests a better one, well, I guess then it is the best one! And elections every two years is not a better method.